These books are available on loan from NAMI-Flagstaff. 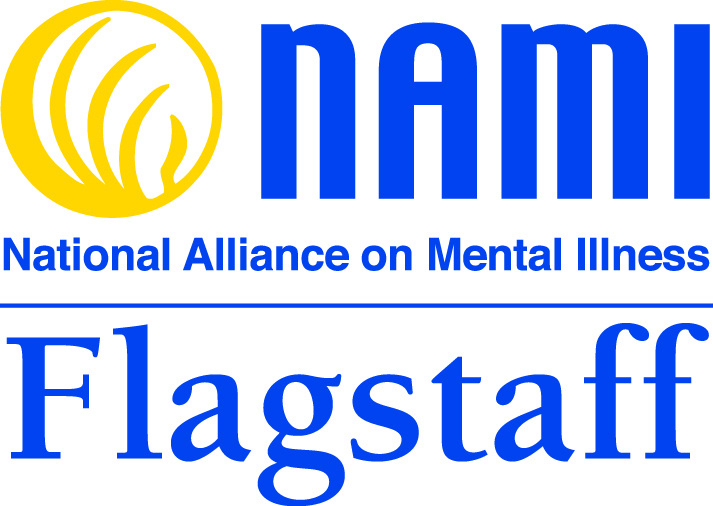 Contact NAMI-Flagstaff to check-out a book. I Am Not Sick, I Don’t Need Help! Paperback, Vida Press, Books for Life, 2000, 202 pages. Helping the seriously ill accept treatment. Learn what research says about: Why so many do not believe they are ill; Why they refuse; How you can help. Paperback, Warner Books, 1994, 270 pages. True, personal account of young woman dealing with schizophrenia, her suffering and recovery. Edited by Michael R. Berren, Ph.D. Paperback, March 2002, 230 pages. “…provide families with tools and knowledge…(help) individuals with a serious mental illness or working to improve systems of care…informative …and easy to read” ( from the Preface). Paperback, Delta Book, Dell Publishing, 1994, 352 pages. Celebrated actors, journalists and politicians talk about their chronic depression. Paperback, Guilford Press, 1984, 45l pages. Discusses family as an important resource in the management of mental illness, particularly schizophrenia. Paperback, Harper Perennial, 1997, 411 pages. The one book on depression and manic depression that doctors recommend most. It presents medical information and advice to empower patients and families to participate actively in diagnosis and treatment. Paperback, Vintage Books, 1995. 224 pages. The author, a professor of psychiatry who suffers from manic-depressive illness, relates her life story and successful efforts to come to terms with her disease. Paperback, J.P. Tarcher, 1992, 232 pages. Laura Epstein Rosen, Ph.D. and Xavier Francisco Amador, Ph.D.
Hardback,The Free Press,1996, 262 pages.How to recognize depression in someone and ways for friends and family to safeguard their own mental and physical health while aiding the depressed person. Audio tape plus two booklets, Lichtenstein Creative Media, Inc, 1996. One hour tape features a Harvard professor, and engineer, a high school student, etc. telling their stories of struggle and triumph over depression. Paperback, Harper Collins, 1995, 409 pages. Reference book explains the nature, causes, symptoms, and treatment of schizophrenia. Also addresses the many issues of living with the disease, and includes the latest research findings on the causes of and treatments for schizophrenia. .
Kim T. Mueser, Ph.D. and Susan Gingerich, M.S.W. Paperback, New Harbinger Publications, Inc., 1994, 355 pages. This books offers support, providing detailed, step-by-step help for people close to someone who suffers from schizophrenia. Paperback, Jeremy P. Tarcher/Putnam Book, 1995, 283 pages. Nancy C. Andreasen, N.D., Ph.D. Paperback, HarperPerennial, 1985, 278 pages. Hardback, Scribner, 2001, 571 pages. The 2001 National Book Award Winner for Nonfiction. Solomon draws on his own struggles and that of fellow sufferers. He defines the illness and reveals the subtle complexities and sheer agony of the disease. He describes the vast range of available medications, alternative treatments, and the impact the malady has had on various demographic populations around the world and throughout history. Paperback,Pocket Books, 1996, 372 pages. Overview of common psychiatric disorders and the 50 most frequently prescribed psychiatric drugs . provides up-to-date treatments and compassionate guidance for anyone affected by bipolar disorder—from the recently diagnosed to chronic sufferers and their families. Depression: recognize its symptoms, protect yourself and other family members from "catching" a loved one's depression, what to do when your child is depressed, how to respond to talk of suicide, medical techniques, their advantages and disadvantages, and how to encourage the sufferer to seek professional treatment. Bipolar Disorder: A Guide for Patients and Families- Francis Mark Mondimore Options for diagnosis and treatment along with new information on the disease's genetic components. information on treatment options, including the advantages, disadvantages, and side effects of various drug therapies. Welcome to the Jungle: Everything You Ever Wanted to Know About Bipolar but Were Too Freaked Out to Ask - Hilary Smith. Smith offers devastatingly on-target, honest--and riotously funny--insights into living with bipolar and answers some of the hardest questions facing her fellow bipolaristas: Can anything ever be the same again? Am I still me if I take mind-altering meds? Can other people tell I have bipolar? Can I get this thing removed? Break the Bipolar Cycle: A Day-by-Day Guide to Living with Bipolar Disorder- Elizabeth Brondolo; Very readable text, provides tools to monitor one's own behavior and make lasting changes in one's life. This step-by-step guide offers a complete selection of livable, workable solutions to manage bipolar disorder and helps you: Identify your symptoms, explore your treatment options, stabilize your moods, sharpen your mind, achieve your goals. The Bipolar Disorder Survival Guide, Second Edition: What You and Your Family Need to KnowThe Bipolar Disorder Survival Guide, Second Edition: What You and Your Family Need to Know - David J. Miklowitz PhD; How can you distinguish between early warning signs of bipolar mood swings and normal ups and downs? What medications are available, and what are their side effects? What should you do when you find yourself escalating into mania or descending into depression? How can you tell your coworkers about your illness without endangering your career? If you have a family member with bipolar disorder, how can you provide constructive help and support?